2YOU FM now known as RADIO 88.9FM is a community licensed station broadcasting from Tamworth, NSW, Australia. 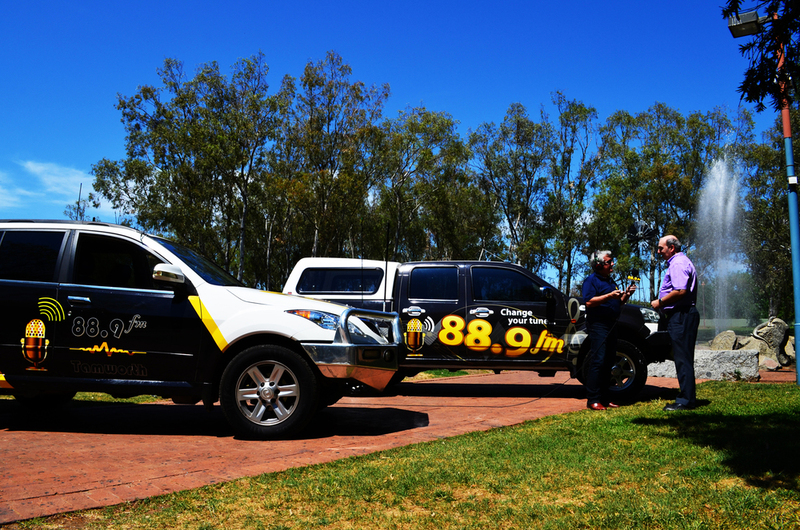 The station has been broadcasting for over 30 years across New England and Northwest NSW. It is, and is a member of the Community Broadcasting Association of Australia (CBAA). The station aims to be a local voice for the Tamworth New England and Northwest area, offering regional news, outside broadcast and coverage of major events. 2YOUFM started in tiny studios out back of the old computer fiscal building in Marius street in Tamworth, although the studio, administration and library were actually in the rear off Dowe Ave in the old laundry rooms. The studio was lined with egg cartons for insulation it had two B&W turntables, a cassette player, a six slider panel and a microphone. From such humble beginnings 2 YOU FM had moved twice more, to 324A Peel street in 1984 and to current Darling Street Tamworth. After over 20 years of operation it moved into the National Trust Railway Gatekeeper’s Building in East Tamworth, in 2013 2YOUFM faced serious financial issues created by increase running costs and lack of sponsor support. The newly appointed directors faced some serious considerations on the stations future.They appointed a senior radio broadcast manager and he implemented a previous conducted survey of what the market both thought and required of the station. Management implemented a robust plan that was put into place to correct the stations financial problems including implementing the research. The station adopted an aggressive new image and station format early 2014. There is a mixed listening program format 60's, 70's & 80's and the best in country. 88.9FM operates 24 hours a day 7 days per week. Including, Breakfast, Morning, Afternoon Drive, Night's and Weekend Presenters. Current Top 20 County Music Count Down is featured once per week, Friday 6-7pm. The "Pulse" with joint presenters covers all the information, political entertainment, interviews mixed with the radio music format. Workday Afternoon Music Requests mon-fri. Weekends follow the non stop music format. Saturdays local sports show at 8:00 am. The station earns income mainly from sponsor, outside broadcasts and membership. Sponsorship takes the form of payment for on-air promotions of local business from a set Rate Card. 88.9 FM has a full time staff of 13, plus 5 casuals, and 5 volunteers, Administration, production, engineering and sales personnel.